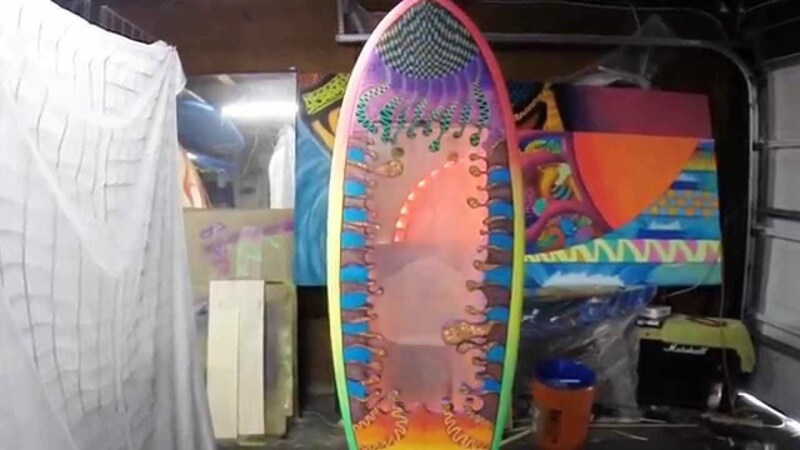 Created for Surfboards on Parade a collaboration of acclaimed artists and legendary surfboard shapers. A Rotary International Project, the proceeds of the Surfboards on Parade auction benefited skin cancer research at Hoag hospital. This board was a tremendous feat of on-the-fly design and engineering in order to bring my idea to life. Since this board would never see the water, I decided to put the water into the board. I created a custom acrylic water tank fitted it into a hidden stand and the Bubble Board was born!